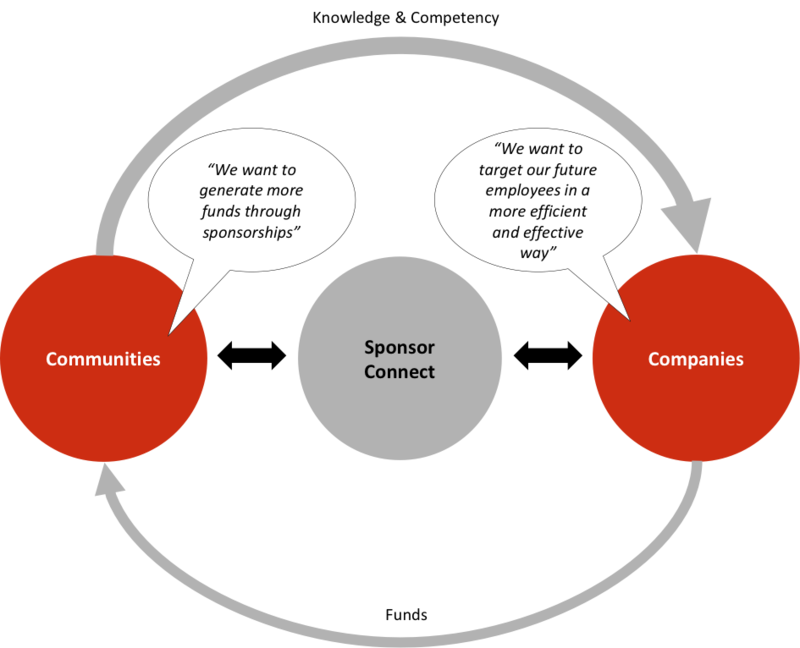 SponsorConnect helps communities that are looking for new sponsors that can provide financial backup for the activities they organize. SponsorConnect provides a unique network of students and alumni at communities that are looking for the next step in their carreer. Communities – How does it work? The sponsoring commission of the community gets an account at SponsorConnect. They can invite students and alumni to setup a profile at SponsorConnect. Students and alumni provide information about their profile in a 15-minute questionnaire. We gather information about their experience, study, date of birth, branch interest, function interest, hobbies, etc. Students and alumni can react to matching jobs and show their interest by liking them. Only then a company or recruiter that has setup the job can see information about student or alumni. 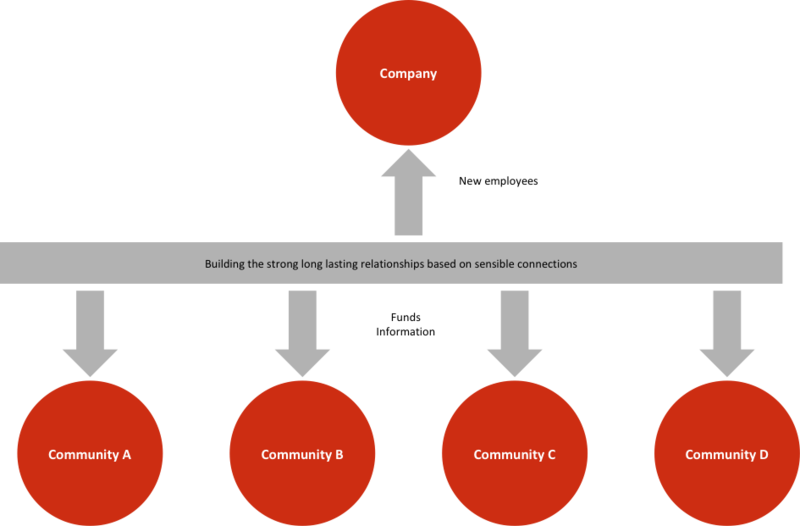 If a company hires a member, the company sponsors the community. SponsorConnect makes these agreements upfront. Companies – How does it work? A company gets a profile at SponsorConnect. Recruiters and managers are invited to setup profiles for the jobs they are looking for. Once a student or alumnus likes a job, the profiles of these candidates can be analyzed and an application can be setup. Once the candidate is hired the company sponsors the community. These agreements are made upfront with SponsorConnect. 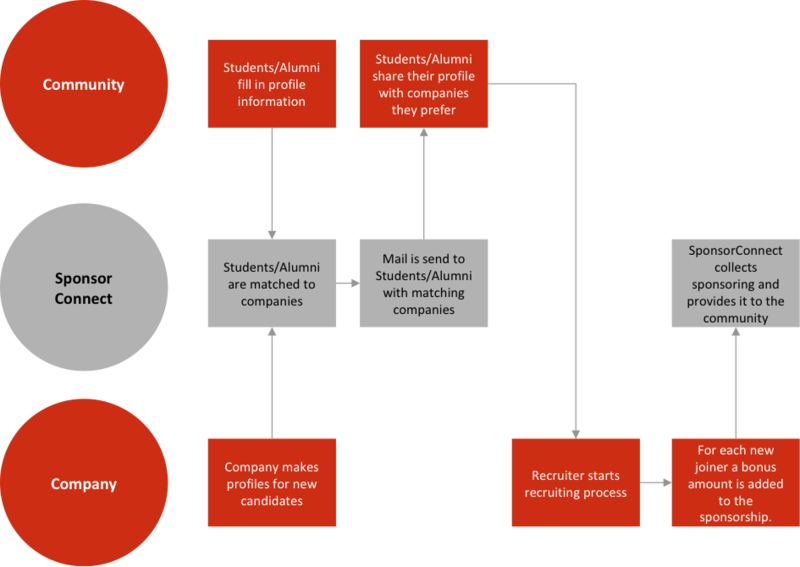 The lightest form of cooperation will allow companies and recruiters to get in touch with students and alumni based on a matching profile. When a student or alumnus is recruited a fee is paid to the community of the student. When there is a very good match with one of the communities, a company or recruiter can start a sponsorship. In return they get access to communities and their students & alumni. We have sponsor packages with activities that include diners, events, case nights, in-house days, etc. On top of that, the company enjoys the same benefits as in the Light version of cooperation. What’s in it for the community and for SponsorConnect? The community gets 80% of all generated sponsoring. SponsorConnect holds back 20% to finance the operation. Can companies see the profiles of our students and alumni? Only when a person responds on a job, the company has the opportunity to view the complete profile and resume. What kind of companies are you working for? A diverse range of companies, ranging from big internationals to small start-ups. What kind of students and alumni are you looking for? A very diverse set of students and alumni. As long as you are a member of one the connected communities.